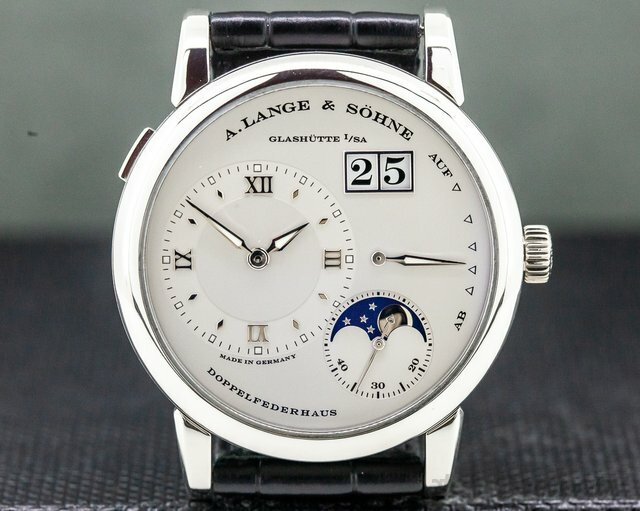 Below is our current in stock inventory of A. Lange & Sohne watches. 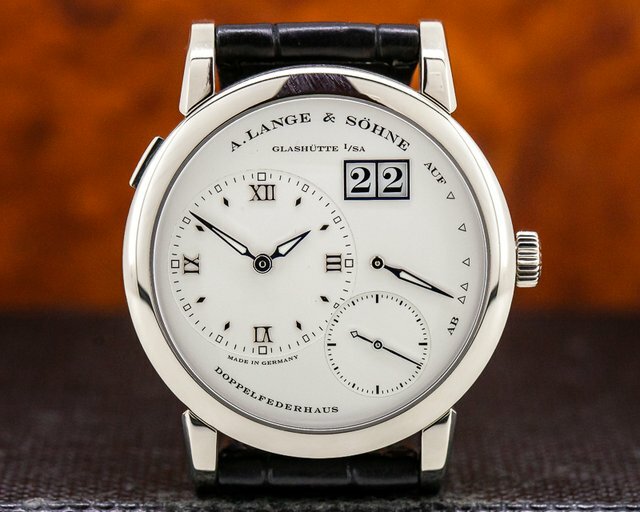 If you have an A. Lange & Sohne you are interested in selling or trading please contact us. 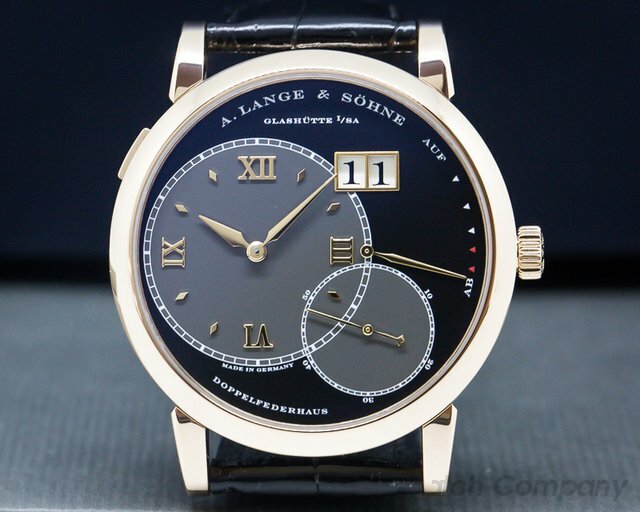 30725 A. Lange & Sohne 320.032 Lange 1 Daymatic 320032, 18k rose gold on a strap with a rose tang buckle, automatic A. Lange & Sohne caliber L021.1, 50 hour power reserve, silver dial with applied rose gold numerals, retrograde day of the week indicator, big date at 11 o'clock, sapphire crystal, display back, size 39.5mm, thickness 10.4mm, Like New with original box, setting stylus, and stamped but undated papers. 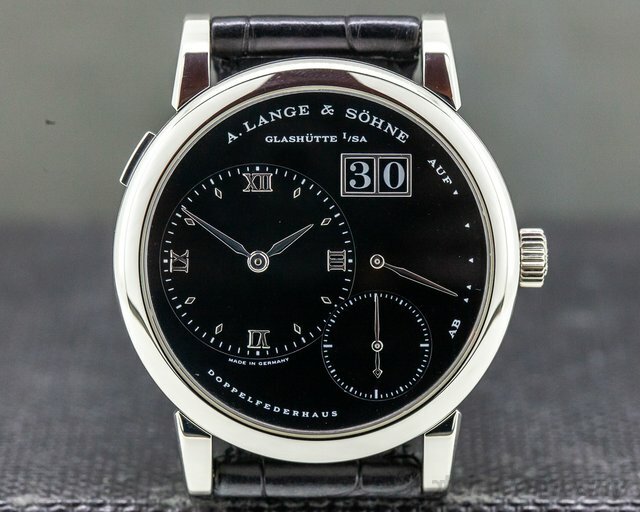 31312 A Lange & Sohne 101.035 Lange 1 "Darth", 101035, platinum on a strap with a platinum buckle, manual wind A. Lange & Sohne, Caliber 901.0, black dial, large date at 2 o'clock, power reserve indicator, small seconds, display back, sapphire crystal, water resistant to 3 atm, diameter: 38.5mm, thickness: 10.4mm. 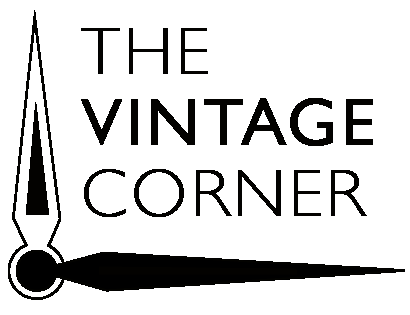 Like New with original box, archive certificate, and service papers from 2015. 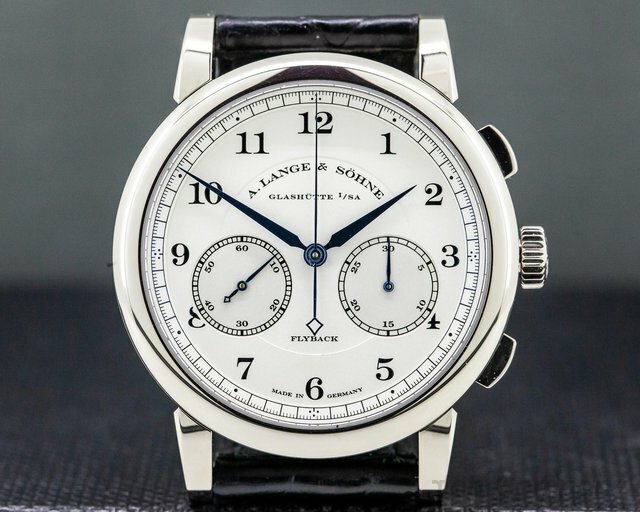 31310 A. Lange & Sohne 404.035 Double Split Rattrapante Flyback, 404035, platinum case on an alligator leather strap with a platinum deployant buckle, manual wind Lange caliber L001.1, 38-hour power reserve with indicator at 12 o clock, split seconds, black dial with white subdials, tachymeter, sapphire crystal, display back displaying the depths of one of the most gorgeous wrist watch movements ever, water resistant, size: 43mm, thickness: 15.3mm. Like New with original box and papers dated December of 2011. 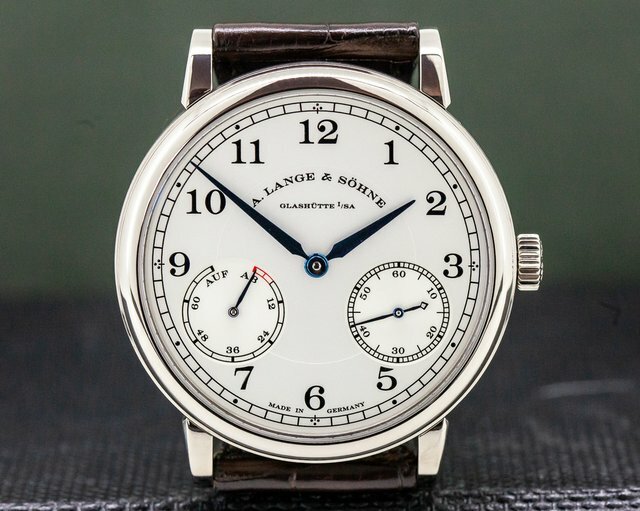 31213 A. Lange & Sohne 101.030 Lange 1 101030, very rare with slate grey dial, 18k white gold on a strap with an 18K white gold tang buckle, manual wind caliber L901.2, 72-hour power reserve, grey dial with white gold alpha hands and applied hour markers, date, small seconds, power reserve indicator, applied roman numerals, water resistant, diameter: 38.5, thickness: 9.9mm, Like New with Original Box and Papers; dated 12/2004. 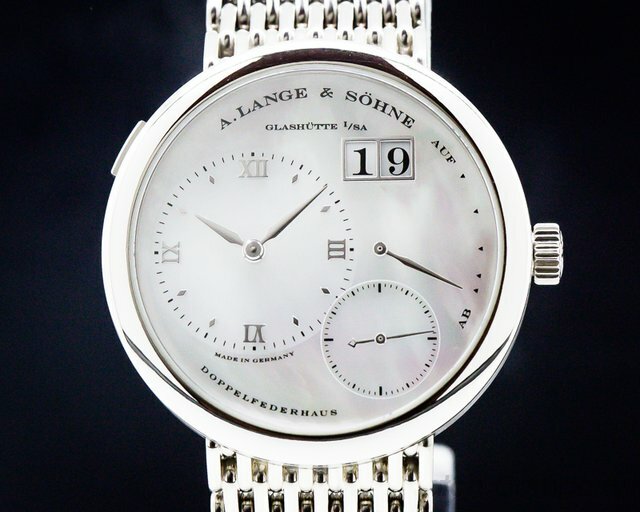 31149 A. Lange & Sohne 160.029 Lange 1 160029, 18k white gold on an integrated 18K white gold bracelet, extremely rare model with integrated bracelet only produced for 1 year, manual wind Lange caliber L901.2 movement, 72-hour power reserve, mother of pearl with white gold alpha hands and applied hour markers, big date, small seconds, power reserve indicator, applied Roman numeral hour markers, water resistant, diameter: 38.5, thickness: 9.9mm, Like New with Original Box and Papers; dated November 2003. 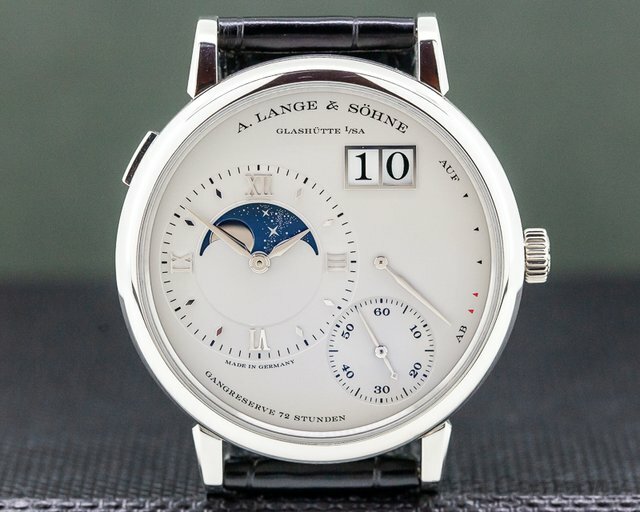 31181 A. Lange & Sohne 109.025 Lange 1 Moonphase, 109025, platinum on a strap with a white gold deployant buckle, manual wind A. Lange & Sohne caliber L 901.5, silver dial withi applied numerals, patented big date, power reserve indicator, small seconds, moonphase, display back, sapphire crystal, water resistant to 3 atm, diameter: 38.5mm, thickness: 10.4mm, Like New with original box, setting pin and certificate dated June 2003. This watch was just fully serviced. 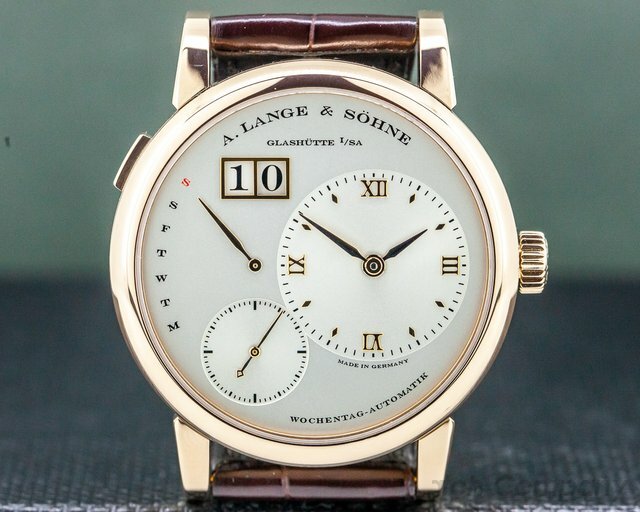 31187 A. Lange & Sohne 115.031 Grand Lange 1, 115031, 18k rose gold on an alligator strap with a rose gold tang buckle, manual wind A. Lange & Sohne caliber L901.2 movement, 72 hour power reserve indicator, small seconds, patented big date, black dial with overlapping charcoal subdials, applied gold roman numerals, rose gold hands, sapphire crystal, water resistant, diameter 41.9mm, thickness 9.9mm, Like New with original box and papers dated July 2006, and service receipt. 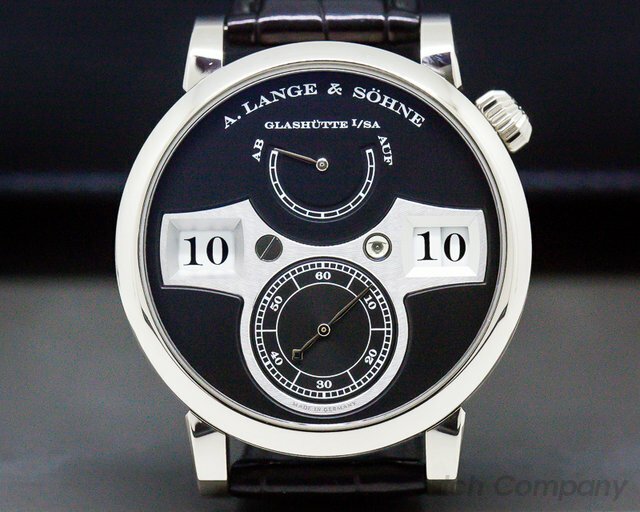 The watch was completely serviced by A. Lange & Sohne in January 2017. 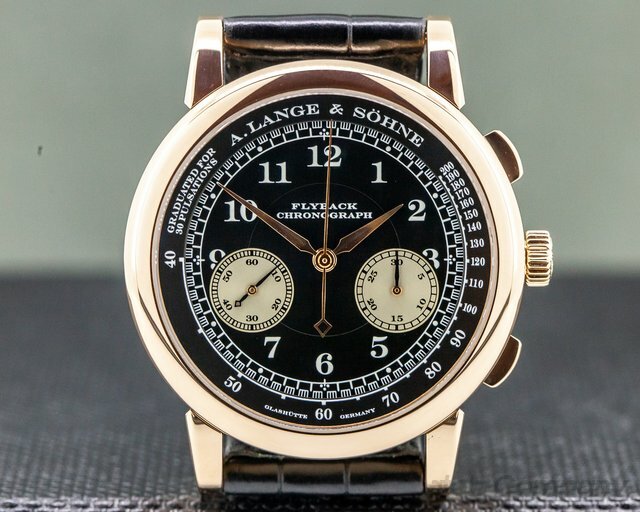 31125 A Lange & Sohne 401.031 1815 Flyback Chronograph, 401031, 18K rose gold on a strap with an 18K rose gold tang buckle, manual wind movement, chronograph with flyback function, pulsometer scale, small seconds between 8 & 9, black dial with silvered subregisters, white arabic numerals, rose gold hands, sapphire crystal, water resistant, display back, diameter: 39mm, thickness: 11mm. Like New with original box and papers which are stamped but not dated. 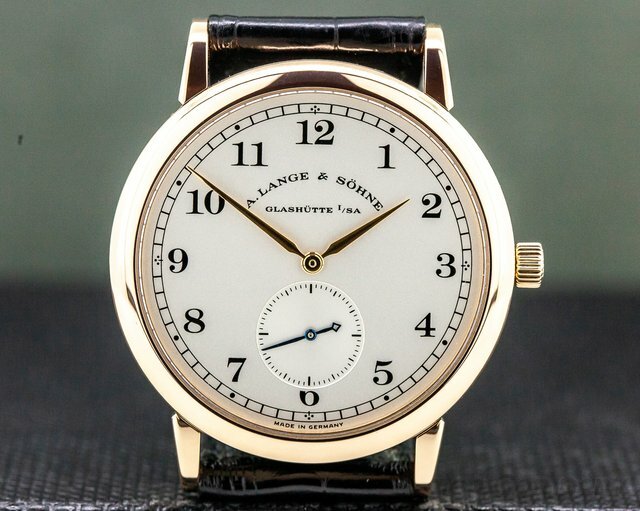 30993 A. Lange & Sohne 206.032 1815 206032, 18K rose gold on a strap with a rose gold buckle, manual wind movement, silver dial with rose gold hands, Arabic numerals and small seconds sub-dial at 6 o'clock, diameter: 36 mm, thickness: 7.5 mm, sapphire crystal, water resistant, display back. Like New with box. This watch was just completely serviced. 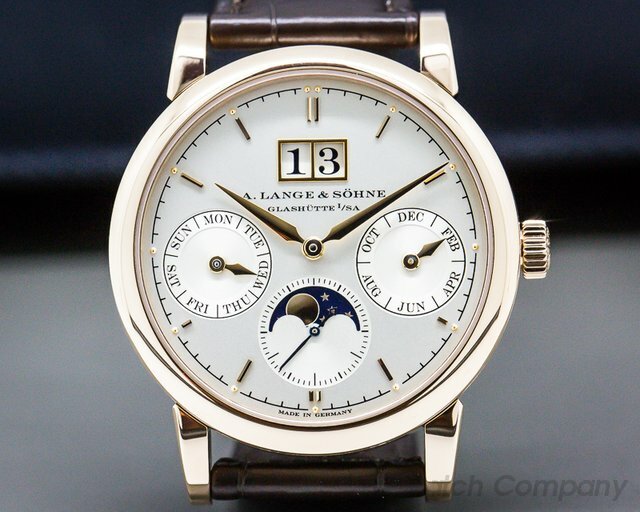 30772 A. Lange & Sohne 139.025 Grande Lange 1 Moonphase, 139.025, Introduced in 2014, Platinum on a Strap with a Platinum Tang Buckle, Manual Wind Caliber L095.3, Silver Dial, Large Date at 2 O'Clock, Power Reserve Indicator, Small Seconds, Moonphase within Hour / Minute Dial, Display Back, Sapphire Crystal, Water Resistant to 3 atm, Diameter: 41mm, Thickness: 10.4mm, like new with Original Box and Papers dated 6/20/2015. 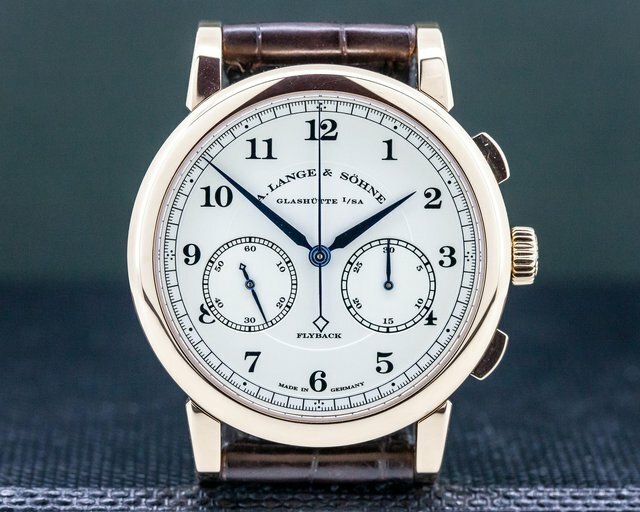 31082 A. Lange & Sohne 320.032 Lange 1 Daymatic 320032, 18k rose gold on a strap with a rose deployant buckle, automatic A. Lange & Sohne caliber L021.1, 50-hour power reserve, silver dial with applied rose gold numeral, retrograde day of the week indicator, big date at 11 o'clock, sapphire crystal, display back, size 39.5mm, thickness 10.4mm. Like New with original box, setting stylus, and papers dated March of 2013. 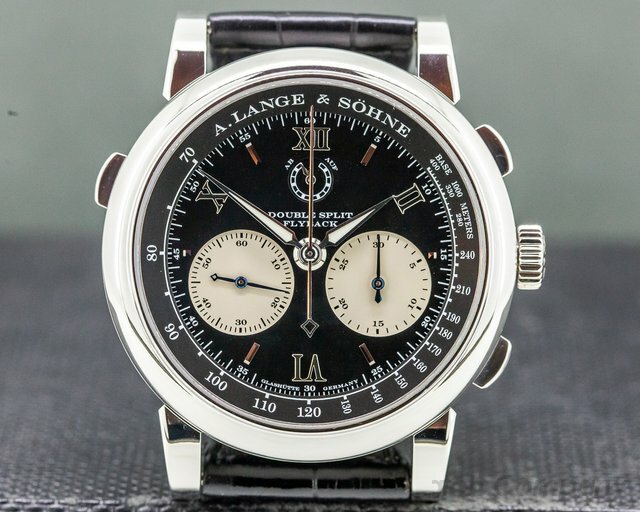 31037 A. Lange & Sohne 402.026 1815 Chronograph, 402026, 18k white gold with an 18k white gold tang buckle, manual wind caliber L951.1 movement, silver dial with painted Arabic numerals, chronograph with a flyback function, display back, small seconds between 7 and 9, sapphire crystal, water resistant to 3 atm, size: 39.5mm, thickness: 10.8mm. Like New with original box and papers dated August of 2011. 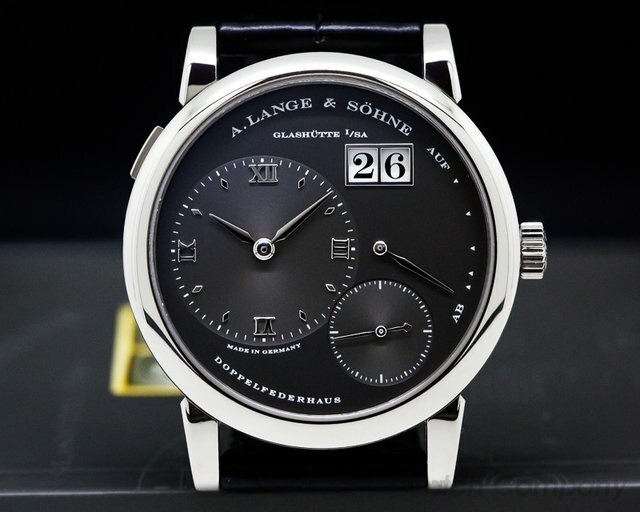 31034 A. Lange & Sohne 140.029 Zeitwerk, 140029, 18k white gold with 18k white gold tang buckle, manual wind Lange caliber L043.1, 36-hour power reserve, black dial with innovative digital jumping hour and minute mechanism, power reserve at 12 o'clock, small seconds at 6 o'clock, sapphire crystal, display back, size: 41.9mm, thickness: 12.9mm. Like New with original box and papers dated December 2013. 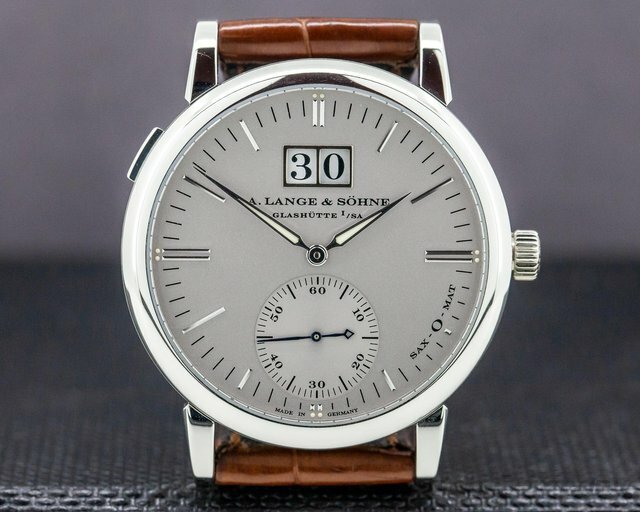 30808 A. Lange & Sohne 116.026 Lange 1 Time Zone Buenos Aires Limited Edition 30/100 pieces world wide, 116032, 18k white gold on a strap with an 18k white gold tang buckle, manual wind Lange caliber L 031.1 movement, silver dial, offset main dial featuring the "Home Time" (AM/PM hand at the 12 o'clock position of this dial and a small-seconds hand at the 6 o'clock position of this dial), big date at 2 o'clock, world time sub-dial located at 5 o'clock with an AM/PM indicator, power reserve indicator (72 hours), display back, sapphire crystal, water resistant, diameter: 41.9mm, thickness: 11mm. Like New with original box and papers dated July 21, 2011. 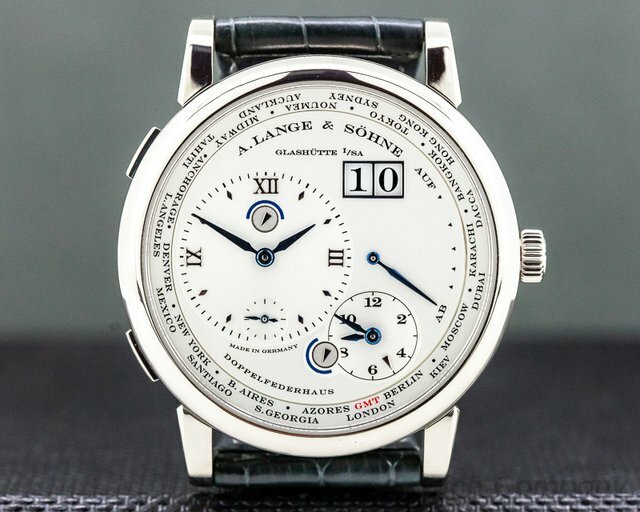 30653 A. Lange & Sohne 101.039 Lange 1 101039, 18K white gold case on a strap with an 18k white gold tang buckle, manual wind Lange caliber L901.1 movement, white dial with applied white gold Roman numerals and hour markers, luminous hands, big date, power reserve indicator, small seconds, display back, sapphire crystal, water resistant to 3 atm, diameter: 38.5mm, thickness: 10mm, Like New with Box and Papers; dated 1/2014. 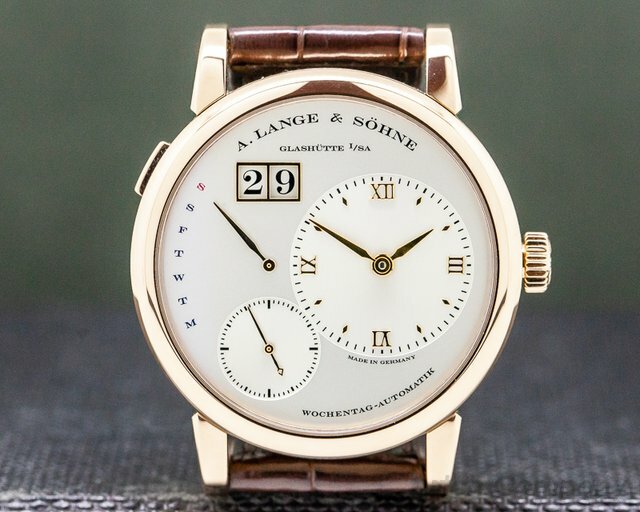 30848 A Lange & Sohne 330.032 Saxonia Annual Calendar, 330032, 18K rose gold with a rose gold tang buckle, silver dial with rose gold hands and numerals, three sub dials indicating day, month and moonphase, big date indicator at 12 o'clock, display back, sapphire crystal, size: 38.5mm, thickness: 9.8mm, Like New with original box and papers dated April 2011.